Founded in 2005, the four piece Northsyde began life as Funkydory. Their debut album “Still” was released in 2006 to fine reviews, and the band toured consistently for the next several years in support of it, and growing a dedicated fanbase. With a grooving combination of Rock, Funk and a serious nod to the Blues – their follow up album “Mercy’s Medicine” was released independently in 2009, again to strong acclaim. This was followed by “Storyteller’s Daughter” in 2014 (nominated for “Best British Blues Album” in the same year). The band is fronted by vocalist Lorna Fothergill, who is also the main lyricist and songwriter. With a dynamic and powerful vocal style, she has been described as “Robert Plant meets Aretha, with a hint of Janis”. 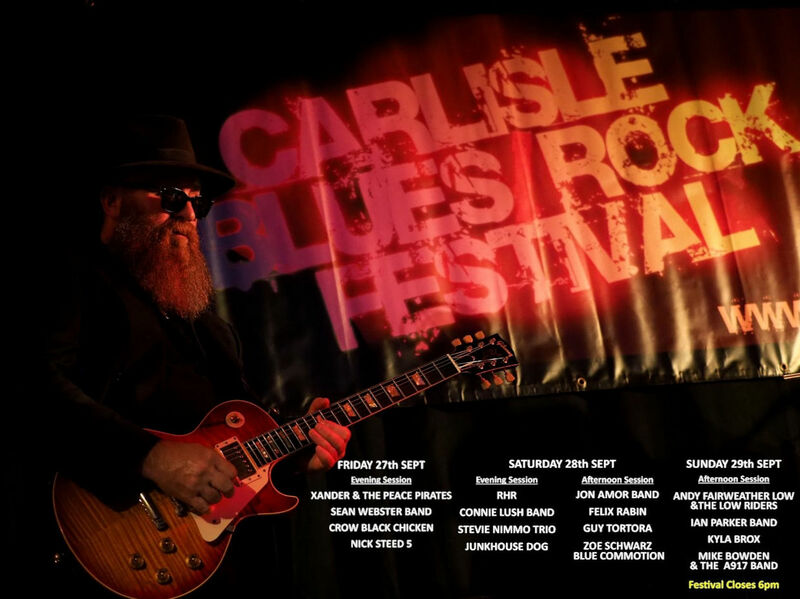 Guitarist Jules Fothergill is well respected amongst his peers for developing an unorthodox mix of melodic and rhythmical improvisation, whether playing lead or slide guitar in a wide variety of musical settings. Bassist Ian Mauricio has an unusual style, being left handed, and stringing the bass upside-down, again contributing a musicality to the group which defies placement in any particular niche. Completing the line-up is drummer Hayden Doyle, whose confident grooves combine to give the band a sound quite unlike any of their contemporaries on the modern Blues and Rock circuit. The quartet have remained together for over 10 years and their on-stage chemistry continues to be a defining attribute. With each member of the band having unique and diverse influences, their style is eclectic, but identifiable. A heady mix of soulful Blues, shaking Funk, and Zep-style riffing, it has been best described as what you’d get from “Stanley Clarke strapped to the front of a Intercity 125 with Janis Joplin driving.” – while not fitting into an easily defined pigeon-hole, sampling their music live is usually the best introduction. With little interest in recreating any specific musical era or idiom, they prefer to blend together their own individual contributions to form a distinct and energetic combination. Thanks to a consistent approach to performing, Northsyde have grown into a well oiled music machine, capable of entertaining even the most discerning audiences. Their many career highlights have included performances from Guilfest to the Maryport Blues Festival, from London’s Ealing Festival to the Cambridge Rock Festival, from headling the Hebden Bridge Blues Festival to supporting Joe Bonamassa in London. Recent years have also seen them performing as far afield as Holland, Italy, Germany, Russia, India and the Carribean. 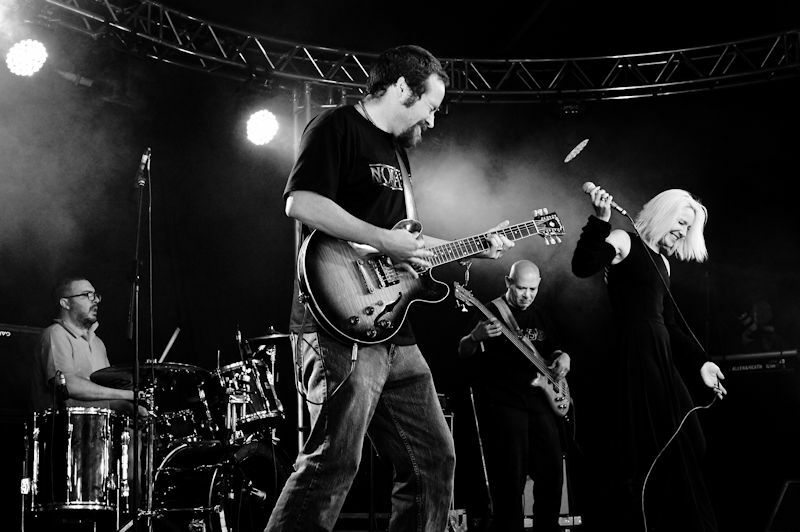 Northsyde have been well represented at the British Blues Awards in recent years, being nominated as finalists in 2014 for Best Female Vocals, Best Blues Band, Best Guitarist, Best Bass Player, Best Drummer and Best Blues Album. They repeated this feat in both 2015 and 2016 with nominations as finalists for Best Female Vocals, Best Blues Band, Best Guitarist, Best Bass Player and Best Drummer! (http://www.britishbluesawards.com).